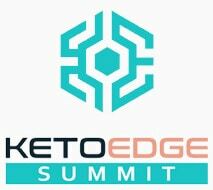 Ketosis lifestyle has swept this country unlike anything I have witnessed in my long career in nutrition. Cady and I recently held an informational teaching seminar on Ketosis to a large group. We received a significant amount of requests for further information for those who could not attend. We are making this valuable content available for FREE. Simple listen to the audio below, or if you prefer to listen on the go, click here, download the Podbean app, and subscribe to our podcasts. Keto diets teach the body how to efficiently burn fat for fuel instead of carbohydrates. Most of us older than 40 remember the first famous attempt at putting the body in Ketosis which was Dr Atkins. Dr Atkins diet did produce Ketosis and weight loss but was simply not a healthy diet in so many ways. Today’s new Keto guidelines creates both positive results and superior health. Setting up a Keto plan is actually quite simple once you get the basic rules and learn how to stock your house with the proper foods or learn how to order wisely at restaurants. You can see from the above chart that eating fats is the primary source of your calories. Carbohydrates will comprise the smallest percentage of your meals and protein will be approximately 25% of your calories. Don’t let these percentages make you feel uncertain as to setting up your meal plan as we are here to help you. Since fats are 90% ketogenic and only 10% anti-ketogenic, we can get away with significant amounts of fat intake. What are healthy fats? Nuts & seeds, coconut oil, ghee, grass fed butters, organic cream, fats from grass fed meats, avocados & high quality olive oil. What are unhealthy fats? It is important to avoid non-organic or non-grass fed dairy in large consumptions. Avoid canola oil, vegetable oil, hydrogenated fats, fried foods & trans fats. This diet & research says: do not be afraid of saturated fats. “Feeding high doses of fat and cholesterol to omnivores, like rats and dogs, does not produce atherosclerotic lesions in them …In fact, it turns out that people who have highest percentage of saturated fat in their diets have the lowest risk of heart disease … – Dr. Mercola. Finally, make sure you don’t consume too much protein in one sitting. If this does occur it can turn into glycogen (sugar). One of the most restricted nutrients on a ketogenic diet, the carbohydrate has the biggest effect on ketosis. The general rule is to consume no more than 30 grams to 40 grams of net carbs a day. Generally speaking most carbs will come from veggies & berries in a ketogenic diet. “Excess carbohydrates in the form of fructose and grains is the root cause of obesity, diabetes and heart disease.” – Dr Mercola, 2009. I have embraced a modest Keto diet because of the overwhelming evidence of its benefits in health and longevity. I do not need to lose any weight so I actually have to try to eat more to insure not losing. However my body fat has dropped into the 9% range since beginning Keto. Here is my own sample menu that I eat in order to stay in Ketosis. Breakfast: I resigned myself to the fact that drinking my breakfast is my only option due to my busy life. My reasons are the quickness of preparing it, I truly enjoy drinking it and I can choose the absolute optimal products that insure the highest quality foods possible.. Here is my recipe. My morning Super Drink starts the day off perfect for my body, brain and energy. Afternoon snack: Everyday at 2:30 I will have a food/protein Bar. I only use the following bars. Zunta Keto, Bulletproof Bar, Bhu Fit Bar, Ideal Protein snacks or occasionally raw nuts. For information on ordering the Zunta Keto bar click here. Dinner: Protein from beef or fish. Large servings of colored vegetables and avocado when available. The only beverage I drink is unsweet tea or water unless I am having alcohol with dinner. (this is not always an option for everyone but in my case it does not kick me out of ketosis if I order it correctly) I have found the perfect alcohol drink for staying in ketosis-I will let this secret out soon. Within two weeks of most individuals embracing Keto, all cravings for junk food disappears. Weight loss starts within the first week. However the term Keto Flu is something that can happen the first few weeks in some individuals. This is where you actually are feeling less energy, bad breath, poor sleep and I encourage you not to give up during this time. It is simply the body learning how to find its new source of fuel which is fat. Nutrition World offers a large selection of products to assist in maintaining Ketosis. As you listen to the above audio of the lecture, you can follow our powerpoint presentation below by clicking on the > button. Secondly, Nutrition World offers two online programs to assist you in becoming a Keto expert for your own life! Keto Academy interactive keto plans optimized for quicker and better weight loss results. Designed and tested to give results in just 28 days. For information on this amazing program click here. Lastly is the Ideal Protein Diet at Nutrition World. The Ideal Protein Diet originated in Canada 20 plus years ago and is a totally supervised ketogenic system within Nutrition World. Nutrition World has coached over 1000 individuals over the past 10 years with an outstanding success rate of 96%! The Ideal Protein Diet does utilize a slightly different method of achieving Ketosis in regard to the fat, protein and carbohydrate levels. Holistic Pregnancy Care: Pregnancy is an exciting and wonderful time to care for and anticipate the arrival of this new precious life. Every mother wants to maintain her health as she also gives birth to a healthy baby. Truth is,there is not a one-size fits all approach to accomplish this, but there are some simple and effective ways to support the health and wellness of mommas and babies throughout the 9 months and beyond. Join us Sunday, May 20 from 2 to 4pm, as we bring a panel of 6 experts in the area of holistic pregnancy who will supporting and helping you with tips and advice on how to have a healthy pregnancy. Seating is limited, so reserve your ticket now by clicking here. 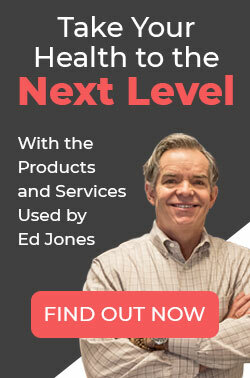 Ketosis Made Easy: Want to dive in deeper to find out what a keto diet is and how you can achieve all the benefits of ketosis in the healthiest way possible? Our diet coaches have been working with our ketogenic program for years. This system is no new feat for us. We’ve helped over 1000 dieters lose thousands of combined pounds over a decade in the field of ketosis. The class will be led by Ed Jones and Adam Chauncey. Look for the next upcoming Keto class to be announced on our website/Facebook, June 19th 6:30-8 pm.